Buckingham Palace has released a statement to announce that Prince Philip will be done with official royal duties at the end of August. ” Queen Elizabeth’s husband, Prince Philip, will “no longer carry out public engagements” starting in the fall, ” Buckingham Palace stated, announcing what amounts to a retirement at age 95. “Prince Philip will attend previously scheduled engagements between now and August, both individually and accompanying The Queen,” the statement said. “Thereafter, The Duke will not be accepting new invitations for visits and engagements, although he may still choose to attend certain public events from time to time.” A clip emerged from the couple’s official appearance this week of an interaction between Philip and a guest, where the Duke of Edinburgh makes a joke about his old age. “I’m sorry to hear you’re standing down,” the guest says as he shakes Philip’s hand. “Well, I can’t stand up much longer!” he responds. 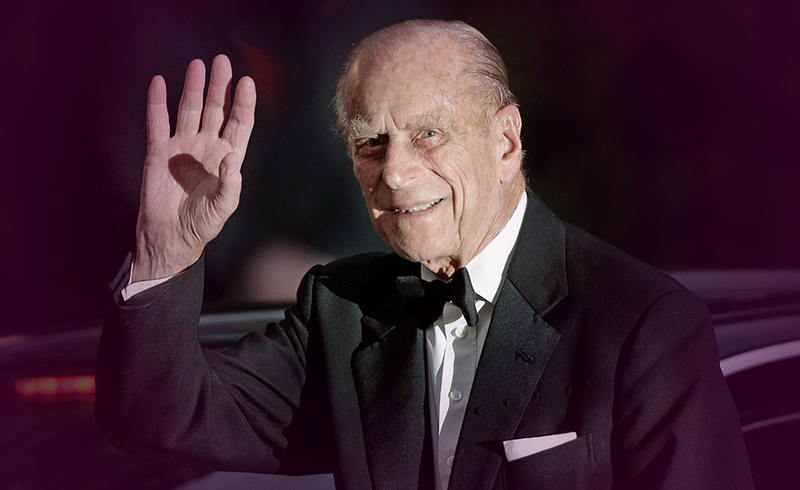 Prince Philip is known for his sharp wit and sense of humor which Queen Elizabeth found so charming 70 years ago when she chose him as her royal consort and obviously has not dimmed. The couple is set to celebrate their 70th wedding anniversary in November. The announcement came hours after an alleged emergency meeting at 3 a.m. that prompted rumors the Duke of Edinburgh was in bad health. “Following overnight reports of an emergency meeting at Buckingham Palace, many in Britain feared far worse news,” Willem Marx reports for NPR from London. “But despite some occasional bouts of illness in recent years, the royal husband Philip and Her Majesty, 91, are healthy.” Philip turns 96 in June. “Her Majesty will continue to carry out a full program of official engagements with the support of members of the royal family,” states Buckingham Palace. Philip, who is involved with more than 780 organizations, will continue to be associated with them. Prime Minister Theresa May issued a statement thanking the prince and wishing him well. “From his steadfast support for Her Majesty the Queen to his inspirational Duke of Edinburgh Awards and his patronage of hundreds of charities and good causes,” May said, “his contribution to our United Kingdom, the Commonwealth and the wider world will be of huge benefit to us all for years to come.” Queen Elizabeth is the world’s longest-serving living monarch. Is Prince Philip’s Retirement Health Related? Yes. Despite what statements have been released, I feel Philip is just tired but also dealing with an on-going health issue. He is almost 96 after all! Four of Wands: This card usually represents a change of residency or optimism. I believe it shows Philip’s outlook on life in general and wanting to be away from the palace duties more. Seven of Cups: This card represents many choices to be made. I feel this is on all levels of his life, having more personal options and also health choices. Queen of Pentacles: This card represents a woman of status, importance and of service. Obviously, this is Queen Elizabeth. I believe she encouraged Philip to make this decision.